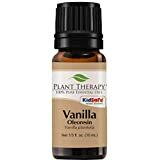 Vanilla essential oil is an essential oil that is distilled from fermented vanilla beans of the Vanilla planifolia plant. The word “vanilla” may conjure up thoughts of sweet desserts like cakes and candy, but don’t mistake the oil for vanilla extract. Vanilla essential oil is not only sweet-smelling. It appears to be good for your health, too. In this article, we’re going to take a look at the potential benefits of vanilla essential oil as well as its uses. You may be surprised at the amount of health advantages that could come from this aromatic essential oil. Vanilla essential oil is packed with a number of health and beauty benefits. The benefits of vanilla essential oil on skin and hair as well as its antidepressant, sedative, or libido-boosting properties are definitely worth a closer look. It may even be able to enhance cancer treatments. Vanilla essential oil can help your hair in numerous ways, as it contains important B vitamins. B-complex vitamins are essential for keeping your hair strong and promoting hair growth. Vanilla essential oil could also help keep your hair shiny. Vanilla oil may also have a number of antioxidant properties, according to research studies. Antioxidants are believed to help repair cells and get rid of free radicals that can help damage our cells. This can lead to better heart health among other benefits for your skin and possibly cancer prevention (but we’ll come back to these benefits). 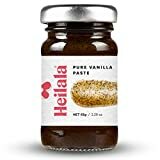 Vanilla oil is thought to stimulate the secretion of estrogen and testosterone hormones. These hormones are the main triggers behind our sexual drives. While vanilla oil will not cure erectile dysfunction, it may be able to help get the juices flowing for arousal. The vanilla oil contains eugenol and vanillin hydroxybenzaldehyde. These two compounds may be very effective in fighting off infections, which would make vanilla oil potentially ideal for protection against fevers, colds, and other infections. One of the most promising benefits of vanilla oil is its potential to aid in cancer treatment. As mentioned, vanilla oil contains a good amount of antioxidants, including high levels of vanillin. The antioxidants in vanilla may be able to slow the growth of cancer cells or possibly work as a preventative measure, especially in cases of breast and lung cancers. 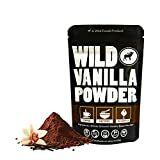 The vanillin compound found within vanilla may also be good for reducing inflammation throughout the body, but especially on the muscles and joints. 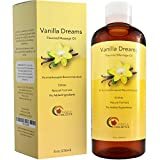 We previously noted that vanilla oil carries antioxidants, which are good for preventing free radicals from doing extensive damage to our cells, including those of the skin. Vanilla oil also contains vitamin B6 as well as niacin, thiamin, and pantothenic acid. All of these can help keep your skin clear by destroying free radicals as well as bacteria and other agents that can create skin issues like acne. For some women, vanilla oil might help relieve the symptoms that often result from menstruation, like bloating and cramps. In certain cases, vanilla oil could help activate or balance out estrogen hormones that are the root cause of these issues. Vanilla’s main antioxidant component, vanillin, may be useful in helping the body lower its low-density lipoprotein (“bad”) cholesterol levels. The vanillin could naturally lower harmful cholesterol levels as well as help reduce the amount of triglycerides in the bloodstream. Vanilla oil has anti-inflammatory properties that could be used to soothe muscles and joints from regular aches and pains. It could also be used as an anti-inflammatory for arthritis, and may relieve the stiffness and pain that typically comes with the condition. Now that you know what vanilla essential oils could do for you, your body and your health, you may be curious to know how you actually go about getting vanilla oil and how to actually use it. Don’t worry, we have a few suggestions for you below. We’ve tackled the health benefits. It’s time to look at the uses of vanilla essential oil. The first thing you should know before buying vanilla oil is that concentration counts. Vanilla oil isn’t a true essential oil, as it is extracted through a CO2 distillation process. Most essential oils are created through steam distillation or through an expeller press. Because of this, most vanilla oils are already blended with another carrier oil. When you are looking for vanilla oil, look for something with a higher concentration of vanilla in the nutritional stats. If you are suffering from a muscle ache or pain or maybe sore joints from arthritis, try massaging vanilla essential oil onto those places or have a partner do it for you. It might help reduce the inflammation of those areas and the scent will relax you, which can also help relax your muscles. If plain vanilla oil is too strong, try mixing it with another carrier oil. You could simply use vanilla oil to relax, as the scent and the compounds within vanilla oil may ease the mind and body. Just put the oil into a diffuser. Even a few drops into a dehumidifier by your bed could help relax you and even help you sleep better. Mixed with a carrier oil, vanilla oil’s soothing and healing effects, especially in regards to the skin, could help with minor burns. If you are feeling a bit down and out, the scent of vanilla oil may help you relax and possibly bring you out of the blues. Note, this is not meant as a treatment for those who suffer from clinical depression. One other note to be aware of before using vanilla oils. Like many things derived from nature, there is always the possibility of an allergic reaction. If you are going to be using vanilla essential oils, make sure to do a small test first just to make sure that you are not allergic. If a reaction does occur, stop using it intermediately. Women who are pregnant and/or breast feeding should avoid using essential oils as a whole. Everyone is different, but given the possible health benefits and general uses for vanilla oil, it may be in your best interest to give it a shot. It may help you sleep better, make your skin appear smoother and clearer, and help you soothe the aches and pains in your joints and muscles. All of this, and it smells nice too! Just take heed of our advice and hopefully vanilla essential oils will make a difference in your life. 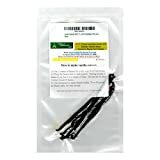 Vanilla Products USA 5 Tahitian Near Gourmet Grade A/B Vanilla Beans PNG 4~6"
“9 Incredible Benefits Of Vanilla Essential Oil,” Organic Facts, https://www.organicfacts.net/health-benefits/essential-oils/vanilla-essential-oil.html, last accessed August 10, 2017. “17 Benefits Of Vanilla Essential Oil For Health & Beauty,” VKool, http://vkool.com/benefits-of-vanilla/, last accessed August 10, 2017. “VANILLA ESSENTIAL OIL BENEFITS AND USES,” Beauty and Lips,http://www.beautyandtips.com/essential-oils/vanilla-essential-oil-benefits-and-uses/, last accessed August 10, 2017. 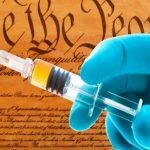 Worthington, J., “Vanilla Essential Oil Benefits, Uses and Side Effects,” The Fusion Model,https://www.thefusionmodel.com/vanilla-essential-oil-benefits-uses-and-side-effects/, last accessed August 10, 2017. “Discover How Vanilla Enhances More Than Just Flavors,” Mercola, September 15, 2016,http://healthline.com/herbal-oils/vanilla-oil.aspx, last accessed August 10, 2017. “Vanilla Essential Oil – A must have!” Spa from Scratch, January 7, 2011,http://www.spafromscratch.com/vanilla-essential-oil-a-must-have/, last accessed August 10, 2017. This article (10 Amazing Benefits of Vanilla Essential Oil) appeared first on Doctor’s Health Press and appears on Natural Blaze with permission.